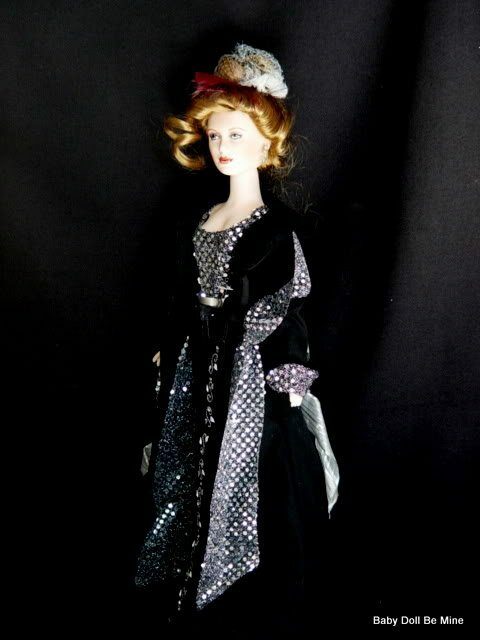 This is Gloria Vanderbilt’s Black Denim 18” porcelain doll from the Runway Collection. She is number 0653 from a Limited Edition of only 1000. 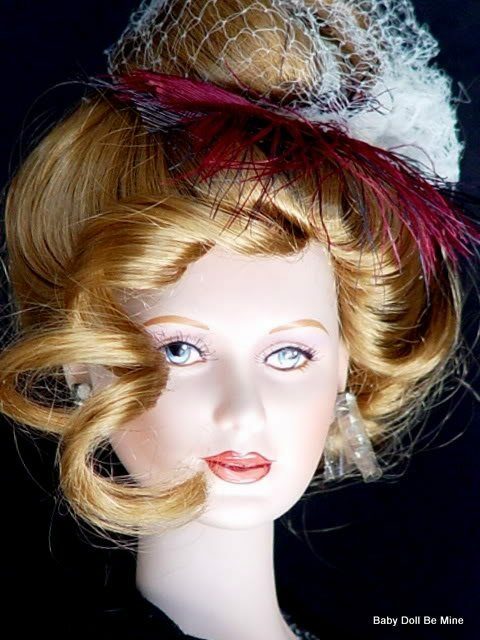 She has blonde hair pulled up in a fancy up-do with feather accents and blue hand painted eyes with tiny delicate lashes. 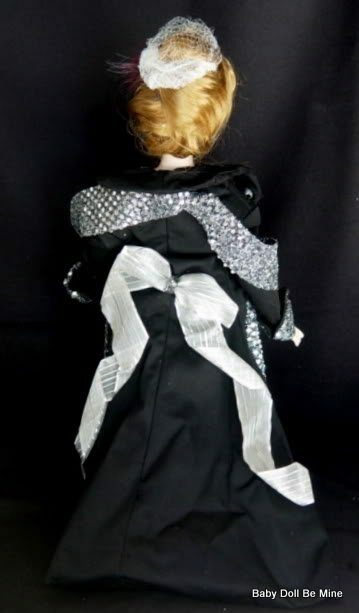 She is wearing a very fancy outfit consisting of black denim pants, a long black coat, and a sequence scarf and top. The COA says “Multi-talented Gloria Vanderbilt has had success as an artist, designer in fashion and home furnishings, and as a best selling author. 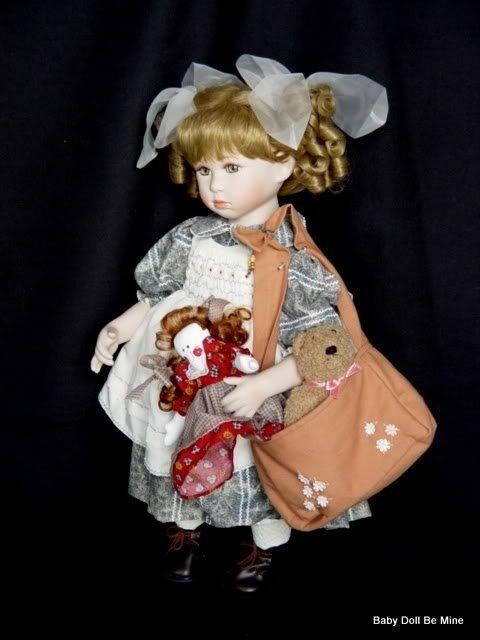 Dolls have always fascinated this remarkable woman as she believes that we project onto them our hopes and dreams. 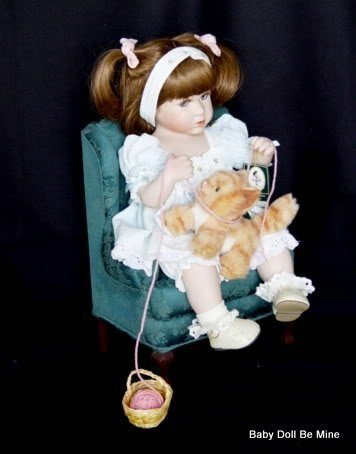 I a doll we have proof of an ideal made tangible. 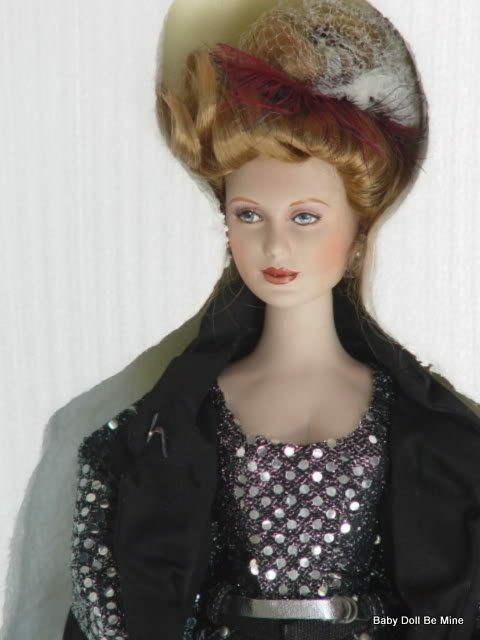 To possess a doll reaffirms our own feelings of self-esteem. 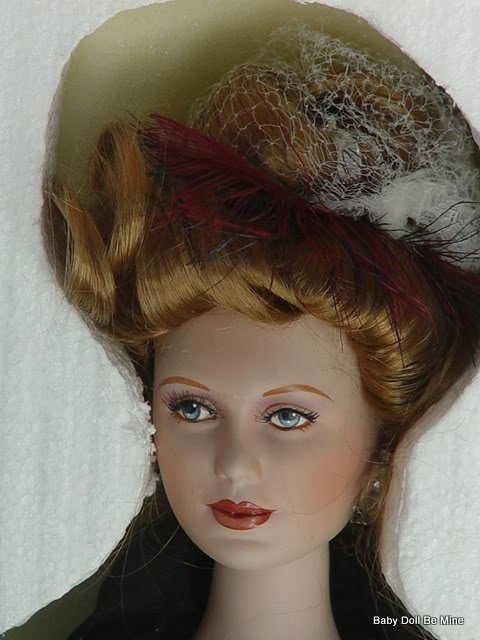 We may add to our collection of dolls as our feelings about beauty and style develop, but the dolls we already have remain constant and unchanging, forever enchanting. 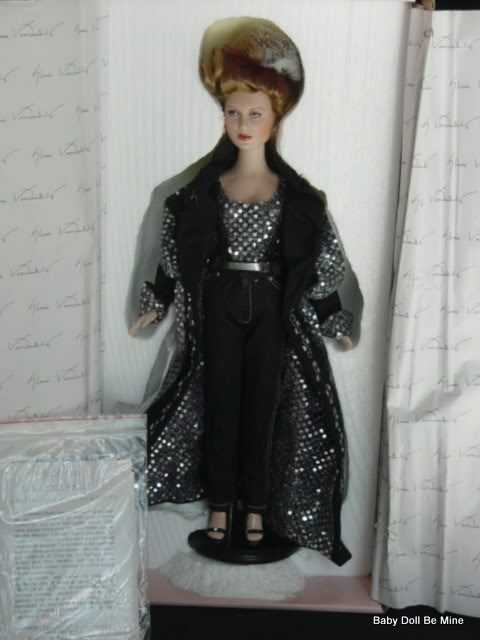 Ms. Vanderbilt, well known for creating a successful line of designer jeans, introduces “Black Denim by Gloria Vanderbilt”, the first in her new Runway Collection of 18 inch full porcelain fashion dolls. It is a limited edition, hand numbered on the back of the neck, where Gloria’s personal signature mark is also inscribed in 18 kt. Gold. 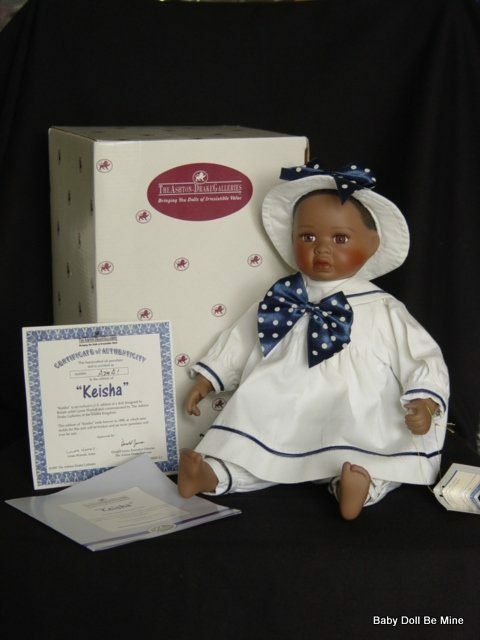 This doll comes to you in her original box with her wrist tag, COA, and paperwork.